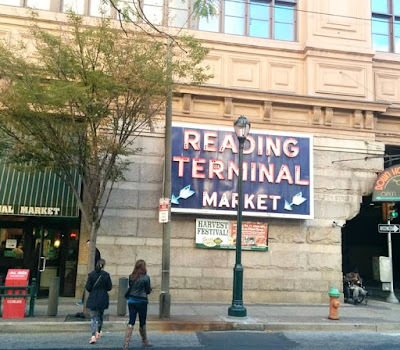 When planing a trip to Philadelphia Pennsylvania, no trip would be complete without a visit to the Reading Terminal Market located at 51 North 12th Street. If you are driving to the market, you can find parking for $4.00 for two hours. If you're staying close by, try walking. At Reading Terminal Market you'll find all kinds of different businesses offering up delicious foods and beverages. Here's a few that you'll find: Old City Coffee, Profi's Creperie, Flying Monkey Bakery, PA General Store, Golden Fish Market, Olympia Gyro, Bee Natural, Blue Mountain Vineyard, Dutch Eating Place, Martin's Quality Meats & Sausages, Downtown Cheese, Pearl's Oyster Bar, Golden Bowl, The Rib Stand and more! One place that we like to visit is called Profi's Creperie. They're open Monday through Friday from 8am to 6pm. They sell breakfast foods and some of the best dessert crepes that you'll ever taste in your entire life! Seriously, these crepes are delicious! They have a vast menu that you can order from and trust me, you'll have a tough time deciding on what you want. 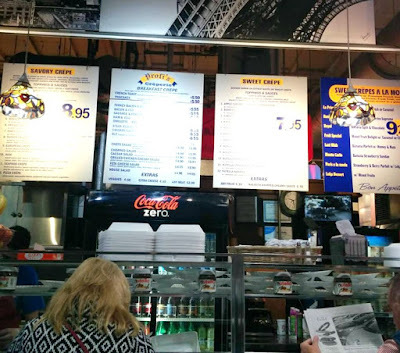 Every time we are down in Philly, we stop into the Reading Terminal Market. Profi's is one business that I purposely seek out and highly recommend to all of you! You can visit their website to get driving directions and to see a complete list of their merchants.